A psychologically scarred young woman attempts to recuperate at a friend's lake house. 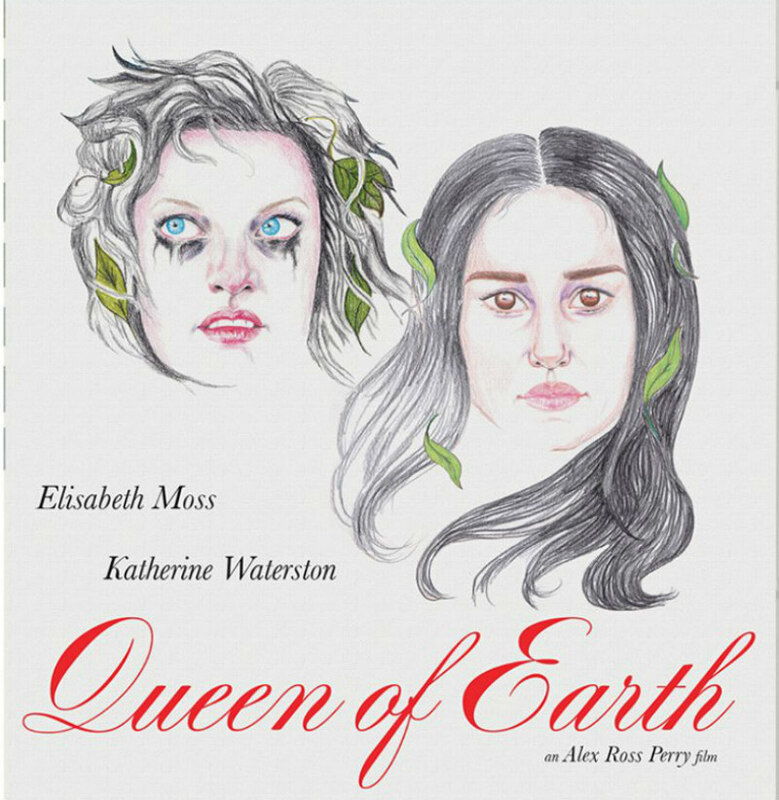 This just might be Elisabeth Moss's best performance to date. All snot and runny mascara, she resembles a clown hit by a car and left for dead in the rain. We'd give her a hug if we didn't believe she'd stab us in the back. If movies should be believed, the last place on earth you want to spend time is at a house near a lake, no matter how idyllic a location it appears. The dangers are rife; you could be drowned by Gene Tierney (Leave Her to Heaven; worse ways to go I guess), raped and left for dead (I Spit on Your Grave) or driven insane by the paranoia of being hunted down by the cult you recently fled (Martha Marcy May Marlene). If you have some free time coming up, best to spend it in the relative safety of the city. Poor old Elisabeth Moss's Catherine should have heeded such advice. Following the death of her father and the break up of a romantic relationship, she sets off to the lakeside holiday home of her frenemy Virginia (Katherine Waterston), who allows Catherine, and only Catherine, to call her 'Ginny'. Catherine is after sympathy, but receives little from Virginia, who goes out of her way to antagonise her emotionally brittle 'friend'. Through flashbacks, we see snippets of the previous summer, when a healthy and psychologically stable Catherine stayed with a then depressed Virginia, the latter intensely irritated by the presence of Catherine's boyfriend. It becomes apparent that Virginia may be indulging in a petty and cruel vengeance for Catherine's previous lack of sympathy. Fans of Robert Altman will see much of his influence in Alex Ross Perry's film. The antagonism between the two leads echoes that of Sissy Spacek and Shelley Duvall in his 1977 3 Women, while Catherine resembles a blend of the dangerously disturbed protagonists of That Cold Day in the Park and Images. If you didn't know better, the movie might have you believing it the latest Paul Thomas Anderson homage to his idol, complete with slow zooms and intrusive, uncomfortable close-ups. Having freed herself from the shackles of TV's Mad Men, Moss has been choosing some very interesting, if not always entirely successful work, and this just might be her best performance to date. When we first see her here, in an all too intimately framed extreme close-up, she's distraught, engaged in an argument with her boyfriend that neither side appears to be winning. All snot and runny mascara, she resembles a clown hit by a car and left for dead in the rain. Her portrait of depression and neurosis is painted in lipstick and blood on a lover's mirror. We'd give her a hug if we didn't believe she'd stab us in the back. During conversations between the two women, Perry frequently rests his camera not on the character delivering a soliloquy, but on the listener. Except they rarely appear to be listening; each of the women is too wrapped up in their own narcissism. That's an accusation some critics have levelled at Perry, calling his film self-indulgent. Maybe that's fair. 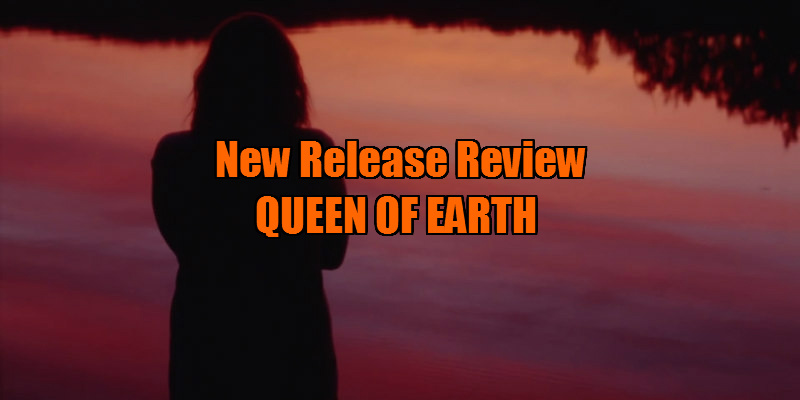 Queen of Earth never feels like a filmmaker's personal take on depression so much as an attempt to replicate past psychological thrillers, but it does such a convincing job with the latter to allow me excuse any possible lack of sincerity.